It’s time for another 5 Books Friday! I love meeting authors, and I am really really lucky to work in an industry that actively encourages me to go to amazing literary events. 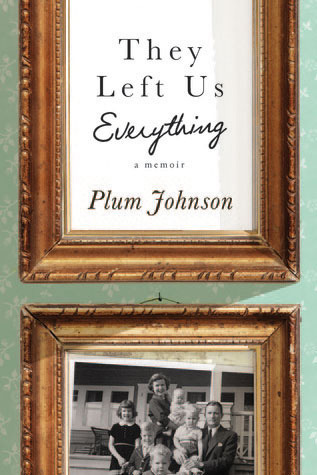 They Left Us Everything by Plum Johnson – The adorable Plum is a local author for my store, and just loves my manager. We were one of the first stores in Oakville to jump on promoting the book and she hasn’t forgotten that fact. She did a book signing at our tiny store and we had a tonne of people show up to tell her about how relatable her book is to the people who have grown up in the area. I think she got asked to visit about 5 different book clubs that day. American Gods by Neil Gaiman – I brought a bunch of my book loving friends along with me to see Neil Gaiman on his last tour in Canada. We went to a theatre in Toronto and got some amazing seats because we got there early. We ended up getting in and out in record time, all with signed copies of The Ocean at the End of the Lane and one other book. 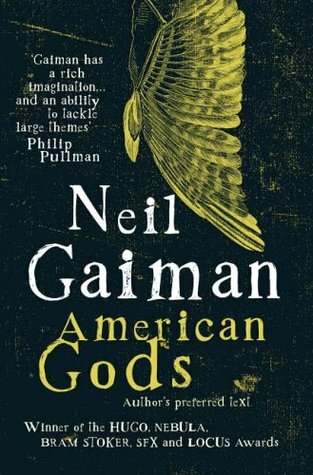 I chose American Gods because it was the first book of his that I read and is still my favourite. Need by Carrie Jones – Carrie might be the most “reader-friendly” author I have ever met. She has likely forgotten our first and only in-person interaction, but she was at the Teen Read Awards put on by Indigo a number of years ago. She turned around during one of the music acts and told me that she liked my top. I pretty much instantly fell in love with her. Now she’s my friend on Facebook and she is the definition of awesome. 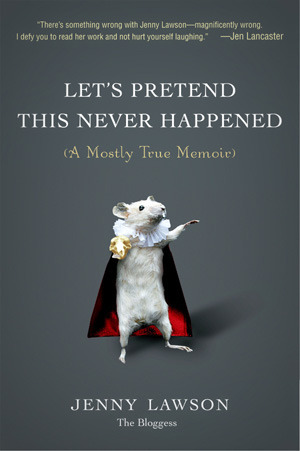 Let’s Pretend This Never Happened by Jenny Lawson – I know you are all screaming “OMG, WOMAN! STOP TALKING ABOUT THIS BOOK!” but listening to The Bloggess read her NSFW memoir in the children’s section at Indigo Bay & Bloor will forever be one of my favourite memories. She’s also sweet and kind and has anxiety issues that are so relatable to my introverted self. I can’t wait to read her new book and go to see her in Toronto again in October. 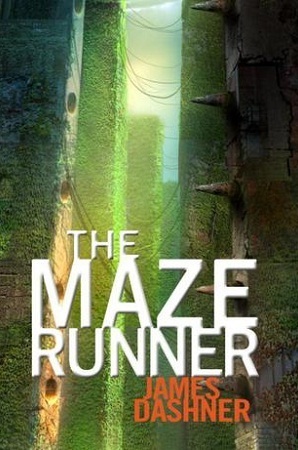 The Maze Runner by James Dashner – This is another author that I originally ran into at the Teen Read Awards, but I was too chicken to talk to him when I saw him walking around the bookstore across the street afterwards. Instead I met him the next day at an author event through Random House (before it was Penguin Random House). I told him about seeing him at the store and he said he wished I had been brave enough because he was just wandering around and would have loved to talk to a fan. Lesson learned people… always talk to the authors you like. They are usually really great people. Have you met any authors? What was it like? Did you read any of their books before meeting them? Were you caught off guard? What about Dexter by Design by Jeff Lindsay…You’ve met him too…right? Or did I just imagine you there with me? Oh yeah! I forgot that one! Glad to hear my memory isn’t as faulty as I thought! I met Linden McIntyre once, and fangirled all over him (huge fan of his from the CBC and his writing). If I ever met Neil Gaiman, I would probably pass out – Good Omens is one of my FAVOURITE books of all time! I’ve only met one author and that’s Mary Norris, author of “Between You and Me.” I was so nervous and could barely form thoughts but I’m usually nervous around new people anyway. I think it’s pretty cool that you met Neil Gaiman. He was really nice, but it wasn’t for very long because there were tonnes of people in line waiting to get their books signed. He did take the time to say something personal to each of us though, which I thought was really cool of him. I’ve only met one author, Jodi Picoult and I was kind of nervous so I didn’t say much, but she was really nice and signed all the books I’d brought with me, plus her new one that I’d bought at the event. I think it’s so nice when authors take the time to sign all the books that a fan has brought. I don’t know if they always realize how much it means to us as fans, but it truly creates a life-long connection. Yeah me too, especially since the books I brought were my favourites, I really wanted them all signed and it was so lovely that she did. I hope they do, realize how much their work means to us, because you’re right, it is a life long connection. A couple of years ago I met Maureen Johnson in London. As a hater of crowds, and London, it was a huge deal. But I had a great time and she was so much fun to meet! So far she’s the only author I’ve met in person, save a few encounters with authors I don’t remember the names of when I was younger. Fun fact for you: Neil Gaiman grew up and went to school in my hometown. There’s now a road down by the sea called “The Ocean at the End of the Lane” in honour of him!